The security of most or all business assets in the modern organization depends on the integrity of the privileged accounts that administer and manage IT systems. Malicious actors including cyber-attackers often target admin accounts and other elements of privileged access to attempt to rapidly gain access to sensitive data and systems using credential theft attacks. For cloud services, prevention and response are the joint responsibilities of the cloud service provider and the customer. For more information about the latest threats to endpoints and the cloud, see the Microsoft Security Intelligence Report. This article can help you develop a roadmap toward closing the gaps between your current plans and the guidance described here. Microsoft is committed to the highest levels of trust, transparency, standards conformance, and regulatory compliance. Learn more about how the Microsoft global incident response team mitigates the effects of attacks against cloud services, and how security is built into Microsoft business products and cloud services at Microsoft Trust Center - Security and Microsoft compliance targets at Microsoft Trust Center - Compliance. For most organizations, the security of business assets depends on the integrity of the privileged accounts that administer and manage IT systems. Cyber-attackers focus on privileged access to infrastructure systems (such as Active Directory and Azure Active Directory) to gain access to an organization’s sensitive data. Traditional approaches that focus on securing the entrance and exit points of a network as the primary security perimeter are less effective due to the rise in the use of SaaS apps and personal devices on the Internet. The natural replacement for the network security perimeter in a complex modern enterprise is the authentication and authorization controls in an organization's identity layer. Privileged administrative accounts are effectively in control of this new "security perimeter." It's critical to protect privileged access, regardless of whether the environment is on-premises, cloud, or hybrid on-premises and cloud hosted services. Protecting administrative access against determined adversaries requires you to take a complete and thoughtful approach to isolating your organization’s systems from risks. This document focuses primarily on creating a roadmap to secure identities and access that are managed or reported in Azure AD, Microsoft Azure, Office 365, and other cloud services. For organizations that have on-premises administrative accounts, see the guidance for on-premises and hybrid privileged access managed from Active Directory at Securing Privileged Access. Microsoft recommends that you develop and follow a roadmap to secure privileged access against cyber attackers. You can always adjust your roadmap to accommodate your existing capabilities and specific requirements within your organization. Each stage of the roadmap should raise the cost and difficulty for adversaries to attack privileged access for your on-premises, cloud, and hybrid assets. Microsoft recommends the following four roadmap stages: This recommended roadmap schedules the most effective and the quickest implementations first, based on Microsoft's experiences with cyber-attack incident and response implementation. The timelines for this roadmap are approximate. This roadmap framework is designed to maximize the use of Microsoft technologies that you may have already deployed. You can also take advantage of key current and upcoming security technologies and integrate security tools from other vendors that you have already deployed or are considering deploying. If you have not already turned on Azure AD Privileged Identity Management (PIM), do so in your production tenant. After you turn on Privileged Identity Management, you’ll receive notification email messages for privileged access role changes. These notifications provide early warning when additional users are added to highly privileged roles in your directory. Azure AD Privileged Identity Management is included in Azure AD Premium P2 or EMS E5. These solutions help you protect access to applications and resources across the on-premises environment and into the cloud. If you don't already have Azure AD Premium P2 or EMS E5 and wish to evaluate more of the features referenced in this roadmap, sign up for the Enterprise Mobility + Security free 90-day trial. Use these license trials to try Azure AD Privileged Identity Management and Azure AD Identity Protection, to monitor activity using Azure AD advanced security reporting, auditing, and alerts. Sign in to the Azure portal with an account that is a global admin of your production tenant. To select the tenant where you want to use Privileged Identity Management, select your user name in the upper right-hand corner of the Azure portal. Select All services and filter the list for Azure AD Privileged Identity Management. Open Privileged Identity Management from the All services list and pin it to your dashboard. The first person to use Azure AD Privileged Identity Management in your tenant is automatically assigned the Security administrator and Privileged role administrator roles in the tenant. Only privileged role administrators can manage the Azure AD directory role assignments of users. Also, after adding Azure AD Privileged Identity Management, you are shown the security wizard that walks you through the initial discovery and assignment experience. You can exit the wizard without making any additional changes at this time. After turning on Azure AD Privileged Identity Management, view the users who are in the directory roles Global administrator, Privileged role administrator, Exchange Online administrator, and SharePoint Online administrator. If you do not have Azure AD PIM in your tenant, you can use the PowerShell API. Start with the global admin role as this role is generic: a user who is assigned this admin role has the same permissions across all cloud services for which your organization has subscribed, regardless of whether they’ve been assigned this role in the Microsoft 365 admin center, the Azure portal, or by using the Azure AD module for Microsoft PowerShell. Make sure that you don't get into a situation where they could be inadvertently locked out of the administration of your Azure AD tenant due to an inability to sign in or activate an existing individual user's account as an administrator. For example, if the organization is federated to an on-premises identity provider, that identity provider may be unavailable so users cannot sign in on-premises. You can mitigate the impact of accidental lack of administrative access by storing two or more emergency access accounts in your tenant. Emergency access accounts help organizations restrict privileged access within an existing Azure Active Directory environment. These accounts are highly privileged and are not assigned to specific individuals. 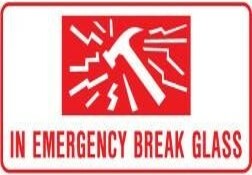 Emergency access accounts are limited to emergency for 'break glass' scenarios where normal administrative accounts cannot be used. Organizations must ensure the aim of controlling and reducing the emergency account's usage to only that time for which it is necessary. Evaluate the accounts that are assigned or eligible for the global admin role. If you did not see any cloud-only accounts using the *.onmicrosoft.com domain (intended for "break glass" emergency access), create them. For more information, see Managing emergency access administrative accounts in Azure AD. Require Azure Multi-Factor Authentication (MFA) at sign-in for all individual users who are permanently assigned to one or more of the Azure AD admin roles: Global administrator, Privileged Role administrator, Exchange Online administrator, and SharePoint Online administrator. Use the guide to enable Multi-factor Authentication (MFA) for your admin accounts and ensure that all those users have registered at https://aka.ms/mfasetup. More information can be found under step 2 and step 3 of the guide Protect access to data and services in Office 365. 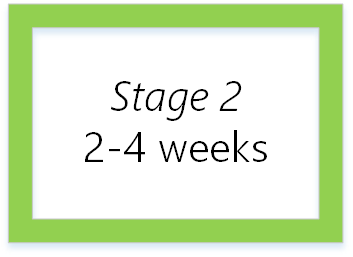 Stage 2 of the roadmap focuses on mitigating the most frequently used attack techniques of credential theft and abuse and can be implemented in approximately 2-4 weeks. This stage of the Secured Privileged Access roadmap includes the following actions. With the increase in bring-your-own-device (BYOD) and work-from-home policies and the growth of wireless connectivity in businesses, it is critical that you monitor who is connecting to your network. An effective security audit often reveals devices, applications, and programs running on your network that are not supported by IT, and therefore potentially not secure. For more information, see Azure security management and monitoring overview. Ensure that you include all of the following tasks in your inventory process. Identify the users who have administrative roles and the services where they can manage. Use Azure AD PIM to find out which users in your organization have admin access to Azure AD, including additional roles beyond those listed in Stage 1. Beyond the roles defined in Azure AD, Office 365 comes with a set of admin roles that you can assign to users in your organization. Each admin role maps to common business functions, and gives people in your organization permissions to do specific tasks in the Microsoft 365 admin center. Use the Microsoft 365 admin center to find out which users in your organization have admin access to Office 365, including via roles not managed in Azure AD. For more information, see About Office 365 admin roles and Security best practices for Office 365. Perform the inventory in other services your organization relies on, such as Azure, Intune, or Dynamics 365. Ensure that your admin accounts (accounts that are used for administration purposes, not just users’ day-to-day accounts) have working email addresses attached to them and have registered for Azure MFA or use MFA on-premises. Ask users for their business justification for administrative access. Remove admin access for those individuals and services that don’t need it. Sometimes, the initial global administrators for an organization reuse their existing Microsoft account credentials when they began using Azure AD. Those Microsoft accounts should be replaced by individual cloud-based or synchronized accounts. Global administrator accounts should not have personal email addresses, as personal email accounts are regularly phished by cyber attackers. To help separate internet risks (phishing attacks, unintentional web browsing) from administrative privileges, create dedicated accounts for each user with administrative privileges. If you have not already done so, create separate accounts for users to perform global admin tasks, to make sure they do not inadvertently open emails or run programs associated with their admin accounts. Be sure those accounts have their email forwarded to a working mailbox. Ensure that all users have signed into their administrative accounts and changed their passwords at least once in the last 90 days. Also, ensure that any shared accounts in which multiple users know the password have had their passwords changed recently. Password hash synchronization is a feature used to synchronize hashes of user password hashes from an on-premises Active Directory instance to a cloud-based Azure AD instance. Even if you decide to use federation with Active Directory Federation Services (AD FS) or other identity providers, you can optionally set up password hash synchronization as a backup in case your on-premises infrastructure such as AD or ADFS servers fail or becomes temporarily unavailable. This enables users to sign in to the service by using the same password that they use to sign in to their on-premises AD instance. Also, it allows Identity Protection to detect compromised credentials by comparing those password hashes with passwords known to be compromised, if a user has leveraged their same email address and password on other services not connected to Azure AD. For more information, see Implement password hash synchronization with Azure AD Connect sync. Azure AD recommends that you require multi-factor authentication (MFA) for all your users, including administrators and all other users who would have a significant impact if their account was compromised (for example, financial officers). This reduces the risk of an attack due to a compromised password. MFA using conditional access policies for all users in your organization. If you use Windows Hello for Business, the MFA requirement can be met using the Windows Hello sign in experience. For more information, see Windows Hello. Azure AD Identity Protection is an algorithm-based monitoring and reporting tool that you can use to detect potential vulnerabilities affecting your organization’s identities. You can configure automated responses to those detected suspicious activities, and take appropriate action to resolve them. For more information, see Azure Active Directory Identity Protection. Secure Score figures out what Office 365 services you’re using (like OneDrive, SharePoint, and Exchange) then looks at your settings and activities and compares them to a baseline established by Microsoft. You’ll get a score based on how aligned you are with best security practices. Anyone who has admin permissions (global admin or a custom administrator role) for an Office 365 Business Premium or Enterprise subscription can access the Secure Score at https://securescore.office.com. The plan for security and compliance outlines the approach for how an Office 365 customer should configure Office 365 and leverage other EMS capabilities. Then, review steps 3-6 of how to Protect access to data and services in Office 365 and the guide for how to monitor security and compliance in Office 365. You can monitor how people in your organization are using Office 365 services, enabling you to identify users who have an administrative account and who may not need Office 365 access due to not signing into those portals. For more information, see Activity reports in the Microsoft 365 admin center. Performing incident response effectively is a complex undertaking. Therefore, establishing a successful incident response capability requires substantial planning and resources. It is essential that you continually monitor for cyber-attacks and establish procedures for prioritizing the handling of incidents. Effective methods of collecting, analyzing, and reporting data are vital to build relationships and to establish communication with other internal groups and plan owners. For more information, see Microsoft Security Response Center. If your Azure Active Directory tenant is synchronized with on-premises Active Directory, then follow the guidance in Security Privileged Access Roadmap: Stage 1. This includes creating separate admin accounts for users who need to conduct on-premises administrative tasks, deploying Privileged Access Workstations for Active Directory administrators, and creating unique local admin passwords for workstations and servers. Use the Enterprise portal and the Azure portal to identify the subscriptions in your organization that host production applications. Microsoft accounts from other programs, such as Xbox, Live, and Outlook should not be used as administrator accounts for organizational subscriptions. Remove admin status from all Microsoft accounts, and replace with Azure Active Directory (for example, chris@contoso.com) work or school accounts. The Azure Activity Log provides a history of subscription-level events in Azure. It offers information about who created, updated, and deleted what resources, and when these events occurred. For more information, see Audit and receive notifications about important actions in your Azure subscription. Prepare conditional access policies for on-premises and cloud-hosted applications. If you have users workplace joined devices, get more information from Setting up on-premises conditional access by using Azure Active Directory device registration. 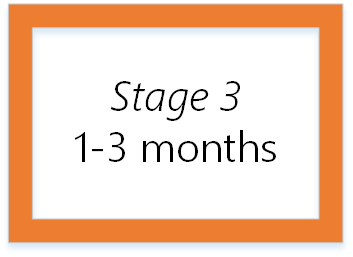 Stage 3 builds on the mitigations from Stage 2 and is designed to be implemented in approximately 1-3 months. This stage of the Secured Privileged Access roadmap includes the following components. More corporate users are gaining privileged access through cloud services, which can lead to an increasing unmanaged platform. This includes users becoming global admins for Office 365, Azure subscription administrators, and users who have admin access to VMs or via SaaS apps. Instead, organizations should have all employees, especially admins, handle day-to-day business transactions as unprivileged users, and only take on admin rights as needed. Since the number of users in admin roles may have grown since initial adoption, complete access reviews to identify and confirm every user who is eligible to activate admin privileges. Determine which users are Azure AD admins, enable on-demand, just-in-time admin access, and role-based security controls. Convert users who have no clear justification for admin privileged access to a different role (if no eligible role, remove them). Require C-suite executives, high-level managers, critical IT and security personnel, and other highly-exposed users to have modern, strong authentication, such as Azure MFA or Windows Hello. Attackers may attempt to target privileged accounts to gain access to an organization’s data and systems so they can disrupt the integrity and authenticity of data, through malicious code that alters the program logic or snoops the admin entering a credential. Privileged Access Workstations (PAWs) provide a dedicated operating system for sensitive tasks that is protected from Internet attacks and threat vectors. Separating these sensitive tasks and accounts from the daily use workstations and devices provides very strong protection from phishing attacks, application and OS vulnerabilities, various impersonation attacks, and credential theft attacks such as keystroke logging, Pass-the-Hash, and Pass-The-Ticket. By deploying privileged access workstations, you can reduce the risk that admins enter admin credentials except on a desktop environment that has been hardened. For more information, see Privileged Access Workstations. The National Institute of Standards and Technology’s (NIST) provides guidelines for incident handling, particularly for analyzing incident-related data and determining the appropriate response to each incident. For more information, see The (NIST) Computer Security Incident Handling Guide (SP 800-61, Revision 2). If you’re already using Azure AD Privileged Identity Management, adjust timeframes for time-bound privileges as necessary (for example, maintenance windows). In the past, protocols assumed that username/password combinations were embedded in devices, email accounts, phones, and so on. But now with the risk for cyber-attacks in the cloud, we recommend you identify every potential user who, if their credentials were compromised, could be catastrophic to the organization, and exclude them from being able to sign in to their email via username/password by implementing strong authentication requirements and conditional access. You can block legacy authentication using conditional access. Please check the details on how to block basic authentication through Exchnage online. Assess whether all admins users are in the correct roles (delete and reassign according to this assessment). You can download this report from Security Incident Management in Microsoft Office 365. 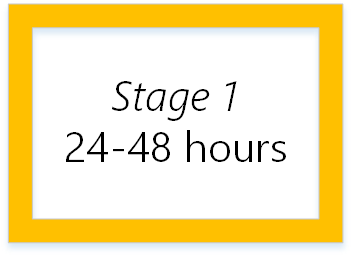 If your Azure Active Directory is connected to on-premises Active Directory, then follow the guidance in the Security Privileged Access Roadmap: Stage 2. This includes deploying Privileged Access Workstations for all administrators, requiring MFA, using Just Enough Admin for DC maintenance, lowering the attack surface of domains, deploying ATA for attack detection. The Azure Security Center provides integrated security monitoring and policy management across your Azure subscriptions, helps detect threats that may otherwise go unnoticed, and works with a broad ecosystem of security solutions. In most cases, you don’t need to give users unrestricted permissions to all your Azure subscriptions or resources. You can use Azure AD admin roles to segregate duties within your organization and grant only the amount of access to users who need to perform specific jobs. For example, use Azure AD administrator roles to let one admin manage only VMs in a subscription, while another can manage SQL databases within the same subscription. For more information, see Get started with Role-Based Access Control in the Azure portal. Use Privileged identity Management with Azure AD administrator roles to manage, control, and monitor access to Azure resources. Using PIM protects privileged accounts from cyber-attacks by lowering the exposure time of privileges and increasing your visibility into their use through reports and alerts. For more information, see Manage RBAC access to Azure resources with Privileged Identity Management. Azure log integration enables you to integrate raw logs from your Azure resources to your organization’s existing Security Information and Event Management (SIEM) systems. Azure log integration collects Windows events from Windows Event Viewer logs, and Azure resources from Azure Activity Logs, Azure Security Center alerts, and Azure Diagnostic logs. Azure AD allows you to automate the creation, maintenance, and removal of user identities in cloud (SaaS) applications such as Dropbox, Salesforce, ServiceNow, and so on. For more information, see Automate user provisioning and deprovisioning to SaaS applications with Azure AD. MCAS allows you to investigate files and set policies based on Azure Information Protection classification labels, enabling greater visibility and control of your data in the cloud. Scan and classify files in the cloud and apply Azure information protection labels. For more information, see Azure Information Protection integration. Configure conditional access based on a group, location, and application sensitivity for SaaS apps and Azure AD connected apps. The Cloud App Security SIEM agent integrates Cloud App Security with your SIEM server to enable centralized monitoring of Office 365 alerts and activities. It runs on your server and pulls alerts and activities from Cloud App Security and streams them into the SIEM server. For more information, see SIEM integration. 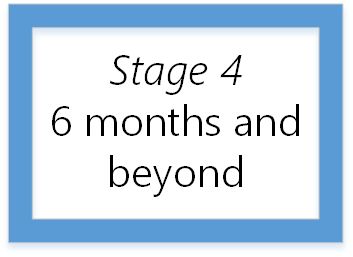 Stage 4 of the roadmap builds on the visibility from Stage 3 and is designed to be implemented in six months and beyond. Completing a roadmap helps you develop strong privileged access protections from potential attacks that are currently known and available today. Unfortunately, security threats constantly evolve and shift, so we recommend that you view security as an ongoing process focused on raising the cost and reducing the success rate of adversaries targeting your environment. Securing privileged access is a critical first step to establishing security assurances for business assets in a modern organization, but it is not the only part of a complete security program that would include elements, such as policy, operations, information security, servers, applications, PCs, devices, cloud fabric, and other components provide ongoing security assurances. Ensure that admins are doing their day-to-day business as unprivileged users. Only grant privileged access when needed, and remove it afterward (just-in-time). Retain and review audit activity relating to privileged accounts. For more information on building a complete security roadmap, see Microsoft cloud IT architecture resources. For more information on engaging Microsoft services to assist with any of these topics, contact your Microsoft representative or see Build critical cyber defenses to protect your enterprise. This final ongoing stage of the Secured Privileged Access roadmap includes the following components. Determine if current built-in Azure AD admin roles are still up-to-date and ensure users are only in the roles and delegations that they need for corresponding permissions. With Azure AD, you can designate separate administrators to serve different functions. For more information, see Assigning administrator roles in Azure Active Directory. For more information, see How to configure hybrid Azure Active Directory joined devices. Notify key managers and security officers with pertinent information regarding the incident. Access your "break glass" account username/password combination to sign in to Azure AD. Get help from Microsoft by opening an Azure support request. Look at the Azure AD sign-in reports. There may be a lag between an event occurring and when it is included in the report. For hybrid environments, if federated and your AD FS server isn’t available, you may need to temporarily switch from federated authentication to use password hash sync. This reverts the domain federation back to managed authentication until the AD FS server becomes available. Monitor email for privileged accounts. Make sure you save backups of relevant logs for potential forensic and legal investigation. For more information about how Microsoft Office 365 handles security incidents, see Security Incident Management in Microsoft Office 365. Q: What do I do if I haven’t implemented any secure access components yet? Answer: Define at least two break-glass account, assign MFA to your privileged admin accounts, and separate user accounts from Global admin accounts. Q: After a breach, what is the top issue that needs to be addressed first? Answer: Be sure you’re requiring the strongest authentication for highly-exposed individuals. Q: What happens if our privileged admins have been deactivated? Answer: Create a Global admin account that is always kept up-to-date. Q: What happens if there is only one global admin left and they can’t be reached? Answer: Use one of your break-glass accounts to gain immediate privileged access. Q: How can I protect admins within my organization? Answer: Have admins always do their day-to-day business as standard “unprivileged” users. Q: What are the best practices for creating admin accounts within Azure AD? Answer: Reserve privileged access for specific admin tasks. Q: What tools exist for reducing persistent admin access? Answer: Privileged Identity Management (PIM) and Azure AD admin roles. Q: What is the Microsoft position on synchronizing admin accounts to Azure AD? Answer: Tier 0 admin accounts (including accounts, groups, and other assets that have direct or indirect administrative control of the AD forest, domains, or domain controllers, and all assets) are utilized only for on-premises AD accounts and are not typically synchronized for Azure AD for the cloud. Q: How do we keep admins from assigning random admin access in the portal? Answer: Use non-privileged accounts for all users and most admins. Start by developing a footprint of the organization to determine which few admin accounts should be privileged. And monitor for newly-created administrative users. Microsoft Intune Security – Intune provides mobile device management, mobile application management, and PC management capabilities from the cloud. Microsoft Dynamics 365 security – Dynamics 365 is the Microsoft cloud-based solution that unifies customer relationship management (CRM) and enterprise resource planning (ERP) capabilities.